Actor Madhavan had taken a long sabbatical from Kollywood post Vettai (2012) due to injuries, from which he was recovering in the US. Actor Madhavan had taken a long sabbatical from Kollywood post Vettai (2012) due to injuries, from which he was recovering in the US. He was using the time in America to also train hard for a new look in an upcoming film, which was kept under wraps. Now, CE has discovered that the look he was training for, was none other than his boxer get-up in Irudhi Suttru. Sudha has every reason to celebrate. For, the film is not just releasing in Tamil, but is a bilingual, with a Hindi version as well. What’s more, the Hindi version titled Salaa Khadoos, has one more co-producer — the renowned filmmaker Rajkumar Hirani. It may be recalled that Hirani is the man directing Aamir Khan’s much awaited PK, releasing on December 19. On the same day, the producers have planned to release the teasers of both Irudhi Suttru and Salaa Khadoos. The film is touted to be an expensive affair and marks the entry of Ynot Studios and Thirukumaran Entertainment into Bollywood. Sudha says she worked hard to find the heroines. The reason, she says, is because she wanted real boxers to play the roles. Sudha explains, “I needed two teenagers as heroines. It was going to be tough to find teenage heroines and train them to look like real boxers. So, I went on a hunt around the country, visiting boxing academies and meeting coaches, looking for the right girls who were boxers.” She hit the jackpot and zeroed in on Ritika Singh and Mumtaz Sorcar, who are real-life boxers as well. 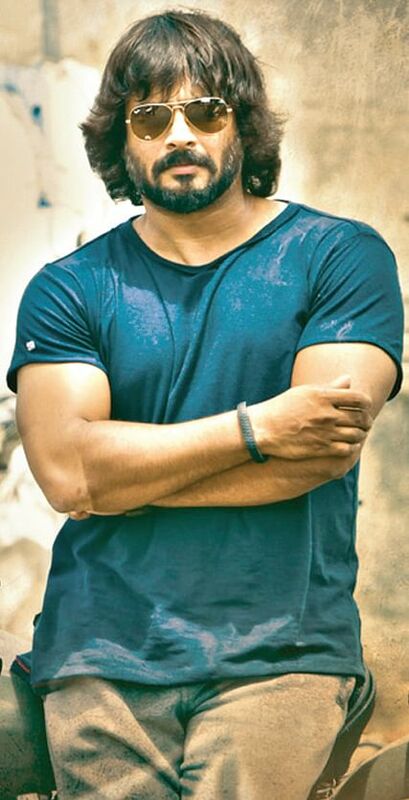 Madhavan trained for over two-and-a-half years to get the physique required for the film, despite battling injuries. The first look, which is out on social media, shows a bearded and muscled Madhavan, and is already receiving appreciative comments. His transformation from a chocolate boy to a lean and muscled hunk, has taken the curiosity level around the movie to a new high.